In the area of Fulton county north of the Chattahoochee River, there are 159 foreclosures and short sales on the market. Of those 159 homes, 112 of them are under contract leaving only 47 distressed properties available. Distressed properties make up 5.3% of the 882 active and available homes and that doesn't include all of the new construction that is about to come on the market. There will be more short sales entering the market, but at a normalized rate going forward and most of the foreclosures are gone. This is a non-judicial foreclosure state which means we were able to run through the inventory of foreclosures faster than many other areas. In Buckhead, there are 424 active listings. Of those 424 listings, 12 are foreclosures or short sales. Yes, I checked the numbers twice and included all of the types we use in the FMLS to list foreclosures and short sales. 12 out of the 424 active listings are distressed. 2 short sales and 1 foreclosure. That's it! 75 homes available, 3 distressed. Sure, I'm looking at some of the more popular areas, but when we look at what is happening in certain areas of Gwinnett county, it seems that the only people buying homes are investors who want to turn them into rentals. These things fly off the shelf with multiple offers at or above list price. It's crazy. Have a home to sell in Lawrenceville? Have fun! You are likely to get more offers than you can handle. No kidding. If you want a "deal", you are a year too late. Sorry, that's the truth. The reality is that prices are rising, but more importantly, interest rates are going to go up and that is going to have a greater impact on affordability than increased prices over the next 12-18 months. Currently, it's generally cheaper to buy than it is to rent. By next summer, you can expect that to change. Well, that's not quite as simple, but generally if you want to buy and you have to sell, you are likely to be better off taking the hit on your current home now than waiting because you can buy now with a lower rate than you will be able to in a year. If you are moving up, the price difference will increase as well since properties are likely going increase around the same percentage rate for your current home as your buy up home. My thoughts exactly and I get the see living proof of it every day. Unfortunately, it's going to take a while for buyers (that should have bought 2 years ago) to come to terms with the new seller's market. This is the first sign I have seen of 'green shoots' in the US housing market. I'm glad that it is looking up in your area. Given the precarious state of the market, it was only a matter of time before the large institutional ownership (I.e. Banks' foreclosed properties) made a move to create more equity. the jittery state of the market means that - as you state- only the slightest of moves turn an uptick into a positive buyers market. We never had your problems up here, but I am looking for good news stories to be forewarned in case they ever do occur in my market. Thanks for making my day. Great article. The market is the same here in Orlando. 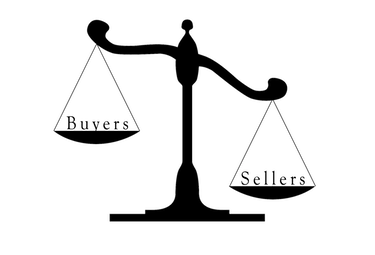 It is now a sellers market and buyers need to face that reality. Thank god new home construction is coming back in full force! Here in Massachusetts the pendulum has swung with out stopping in the middle. We have communities with almost no inventory with properties bidding up way past the asking price. Sometimes it takes a buyer losing a few to realize how quickly the greater Boston real estate market is moving.